Today we will provide you top SEO tricks or Ranking factor for bloggers to get top ranking in Google Search Engine. There are many SEO guide for blogger on the internet but we are providing some important ranking factors which is more effect Google ranking. On other side word press have many plugins to do this but you need to do SEO manually in blogger. So we will provide you full SEO tricks how to do SEO of blogger and how to get quick rank in Google. 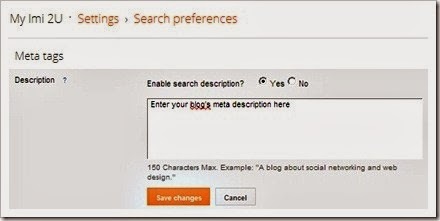 Blogger is free and easy web publishing tool for create your blog. Many bloggers use first blogger then they migrate to word press to get more better seo for their blog but some of them use blogger because it’s very easy to use. So here I am giving you some top Search Engine Optimization (SEO) tricks for blogger to get rank. Permalink is First very important ranking factor which plays a great role for ranking in Search Engine. 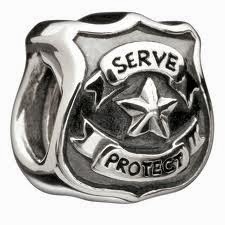 First keep number of characters in post title to 50 and remove stop words like a, an, the, or etc from permalink. You can do this easily in blogger with click on link at the right side panel when you add your post into blogger. 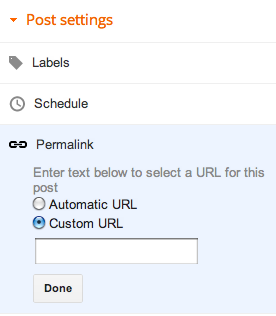 Go to Links than click on custom permalinks to set your post link as shown in below picture. Keyword density is an important ranking factor for better ranking in search engine. You should be maintaining 2% keyword density per post to better results. You should be using your necessary keywords in title and post with 2% keyword density in post. Never do keyword stuffing to manipulate search engines. But you can analyze post and find suitable location to add your keyword in the post. Blogger include their home page title in post so it is very harmful for seo of the article title. Please follow below steps for how to fix this. You can optimize images when you add them into post. You just need to add alt and title tags in every image. Please add your keywords in alt and title tags in every image. Please give no follow attribute on all external links to search engine advantage. You can select Rel="nofollow" attribute when you add external URL in your post which prevents search engines from crawling a particular link. 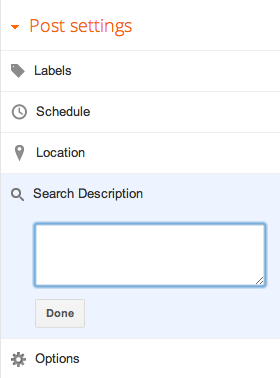 You can enable search description under settings > Search preferences as shown in below picture. You can also add custom search description for every post. Go to right panel of the blogger and click on search description as shown in below picture. So follow above steps to get better ranking in search engine. If you like this article please doesn’t forget it to share on facebook and twitter.